Driving under the influence of alcohol is relatively easy to prove at the time of a traffic stop. The common scenario is: you drink and drive, get pulled over, take a breathalyzer to measure your blood-alcohol concentration (BAC), and face the consequences. Driving under the influence of drugs, however, is far more complicated. If you regularly drive under the influence of prescription drugs or have been arrested for DUI because of taking medication, it’s important to understand the implications. California Vehicle Code 23152 broadly states that “it is unlawful for a person who is under the influence of any drug to drive a vehicle”—including prescription, over the counter, and “street” drugs like methamphetamine or cocaine. To further complicate the matter, the passage of California Proposition 64 made it legal for adults to smoke marijuana recreationally. Yet, there is no current test that can adequately determine the number of drugs in a person’s system. This is because some drugs can stay in the body for days, even weeks or months, after use. Because a breathalyzer will only detect the presence of alcohol, drugs are tested for via a blood or urine analysis after arrest. Not all prescriptions are created equal. Just like illegal substances, intensities can vary as well as signs of impairment. To understand why “drugged” driving is so dangerous, it’s helpful to know how certain drugs affect a person behind the wheel. Marijuana: While now legal, marijuana can induce drowsiness and relaxation not unlike the effects of alcohol. It can also cause paranoia and disorientation. Psychedelics: LSD and mushrooms can bring about intense hallucinations and a severely altered mental state. Heroin: This drug can make the user feel intense euphoria that is also associated with sedation, disconnectedness, and slower reflexes. Stimulants: Cocaine and meth can cause excitation, aggressiveness, and delusions. Antidepressants and pain meds: These can have a sedative effect just like drinking. Valium can cause impairment comparable to having a blood-alcohol concentration of .10%. Cold medicine: Antihistamines and decongestants can impair coordination and induce drowsiness and dizziness. Sleeping pills: Even after waking in the morning, drugs like Ambien can cause disorientation and drowsiness. Even though the law views alcohol and Rx drugs in the same light, you have a better chance of pleading your case with the help of an experienced DUI attorney when arrested for the latter. The state will tell you “Doctor’s orders” won’t hold up as a defense. 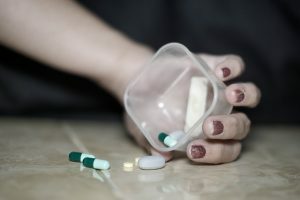 However, notwithstanding aggravating factors like a DUI involving bodily injury, you can go to court with a compelling case that states you were following the recommended dosage. The burden of proof is on the prosecution that will have to show Rx drugs specifically caused the impairment—a difficult argument considering the various stages of active vs. inactive drugs within the body. No matter the circumstances, if you’ve been arrested for driving under the influence of drugs, it’s important to consult an attorney who specializes in DUI. While it can be difficult to prove innocence in certain situations—such as the detection of alcohol and drugs in your system—every case is unique. Professional representation is crucial to avoiding longer sentences and steeper fines.